Every home has the privilege to experience full enjoyment within their living spaces. This is then achieved when you incorporate or include spaces that will surely bring entertainment not only to your guests but as well as to your family being the homeowner. What am I trying to imply is, once you have planned to build your own dream house, make sure that it would be a place wherein you will not just simply wake up in the morning, take a breakfast in your dining tables, cook dishes in the kitchen and at the end of the day go inside your bedrooms for the evening sleep. This may sound boring, right? 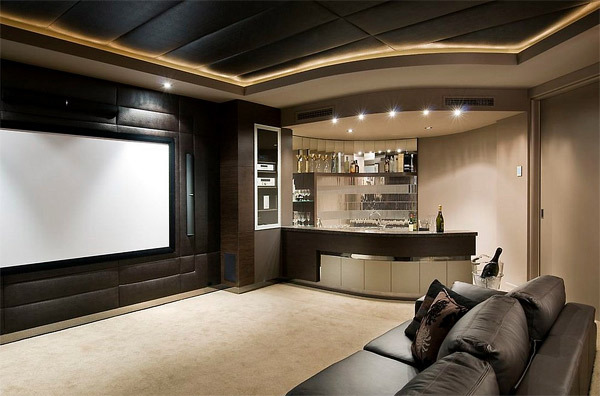 Why not try to, just at least include in your plan a home theater room, or gathering rooms or a home bar. 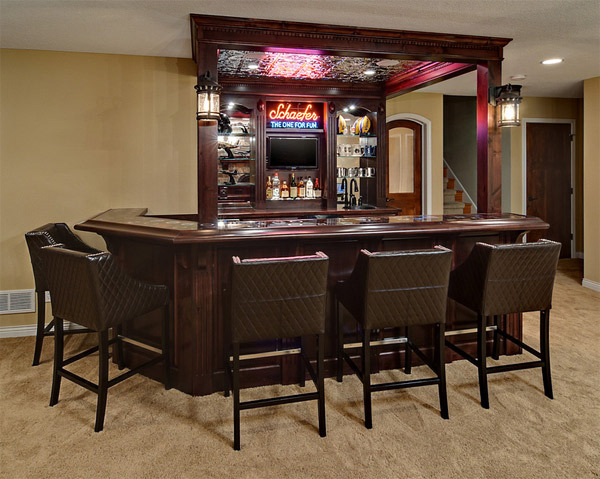 Home bars are a great place of pleasure most especially for men, but could also be for women. 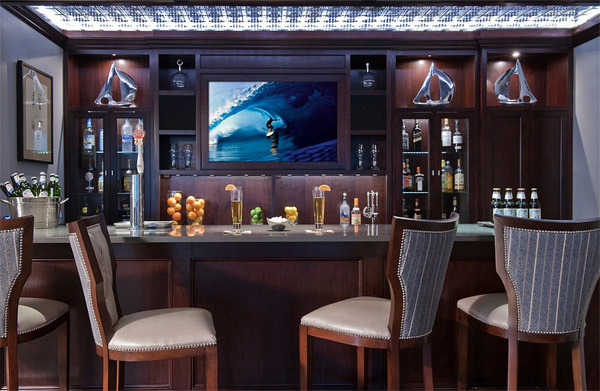 It is where you can have a bachelor’s night on a more private setting. And could also be an advantage for young boys who wanted to have a drink but are not permitted to have a night out. 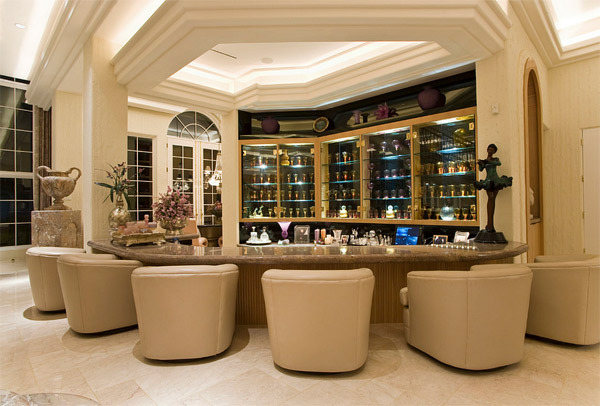 It is also a perfect space where you can display your collection of wines and other drinks. 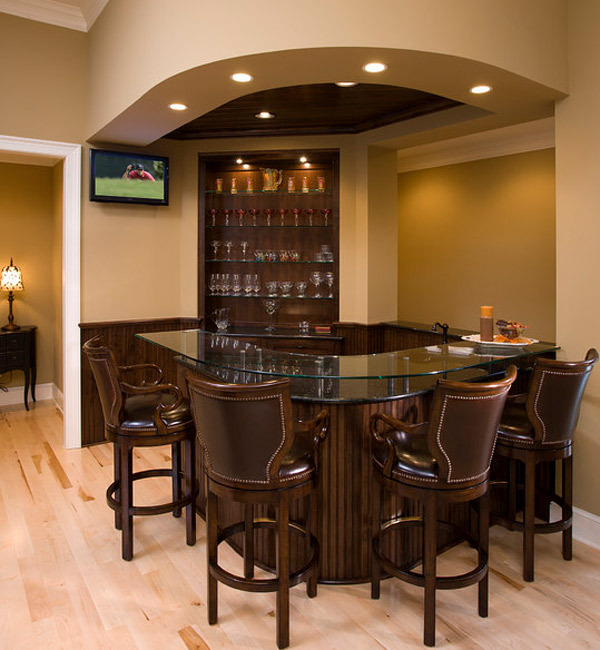 You can design your own home bar as long as it is functional, nice-looking and most importantly it must fit the room. 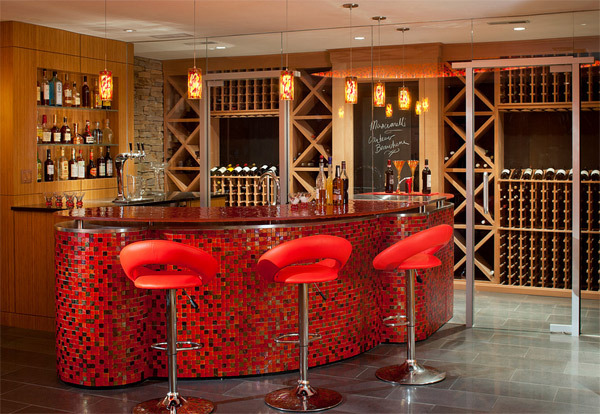 We have here different designs of home bars that would fit your tastes. 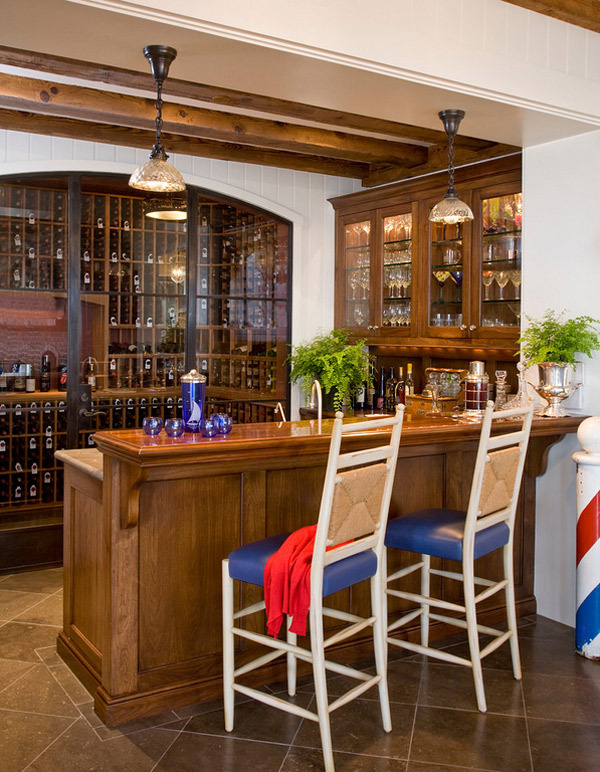 This home bar has glass doors which lead to the cellar given a rustic design with the wooden materials. This is an elegant place for your husband and family to enjoy a sophisticated entertainment area. 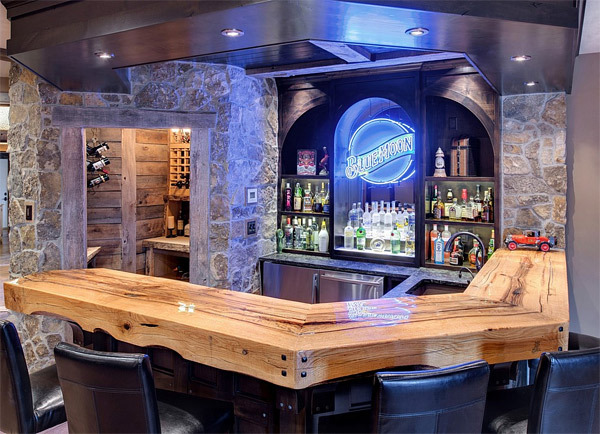 This home bar is a part of the basement renovation. The walls are decorated with bricks and marble countertop adds sleek to the design. 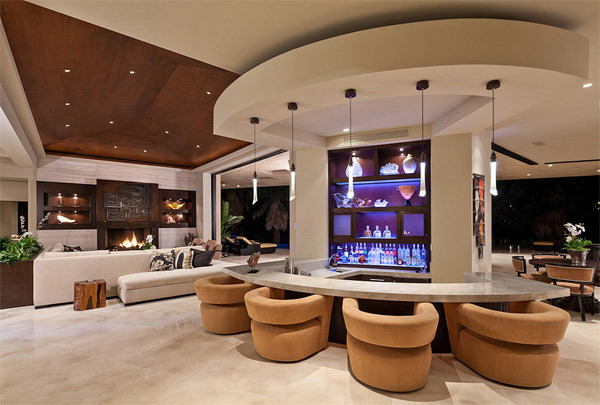 Surely your circle of friends would love to party in here. 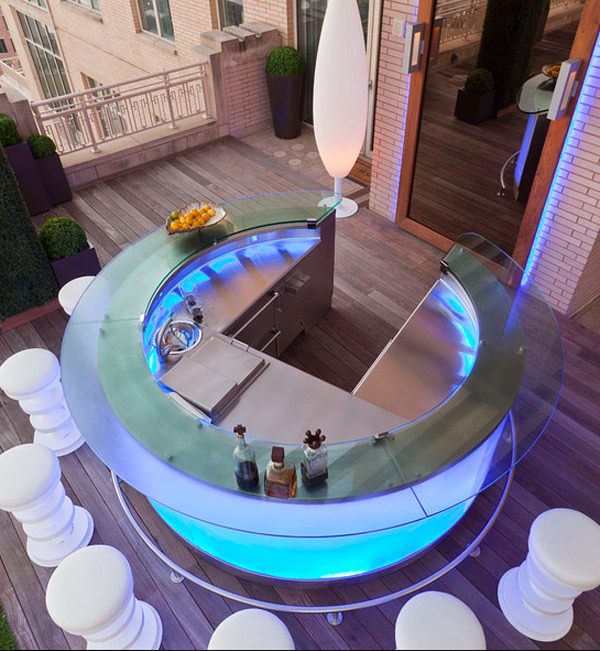 It is a custom LED bar made from stainless steel and glass countertop. 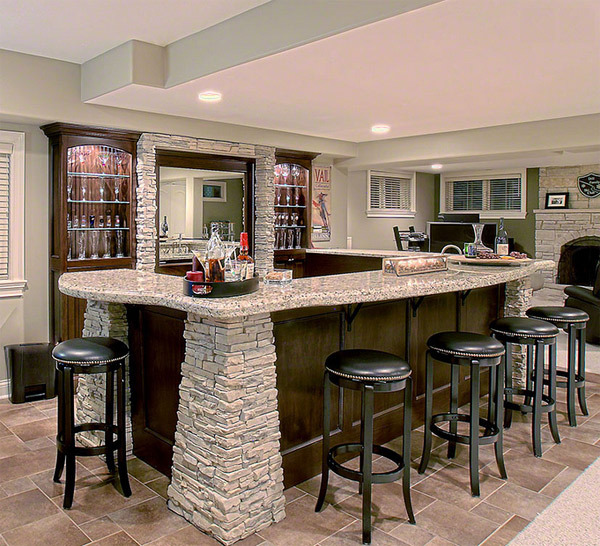 This is shaded with a dry creek color that fits equally with the stones stacked as columns and also with the granite counter top making a perfectly designed home bar. This is a perfect style for your farmhouse or barn inspired homes, everything is wooden. To get a charming design glass walls and big lamps are integrated. This bar really achieves a contemporary style with the choice of chairs, lightings and the counter top that makes it really gorgeous. Great bar! 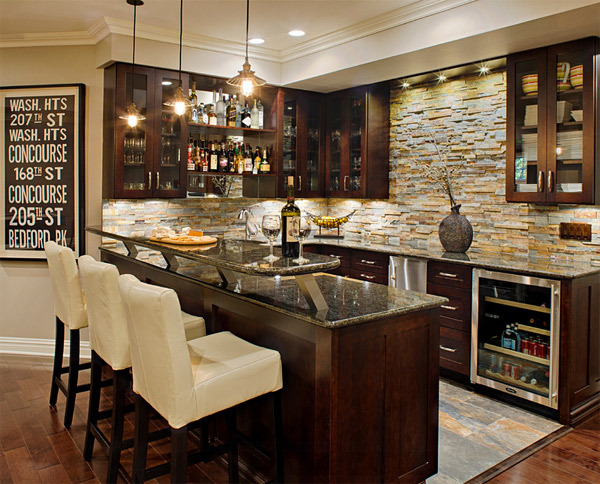 The rustic look is completed with the use of stones for the walls, and wooden slabs for the countertop. 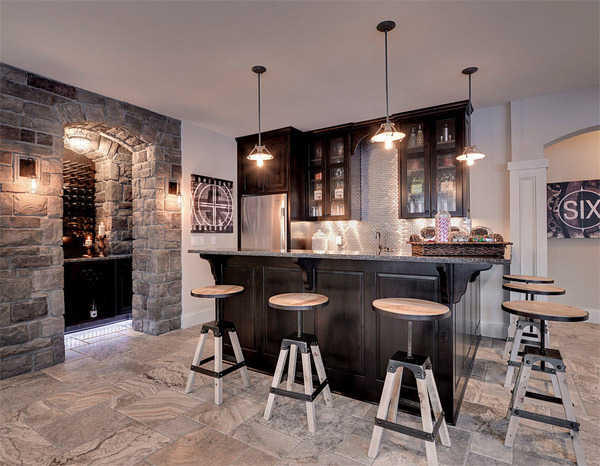 Softer shades of wooden materials are used then as walls for the wine room. 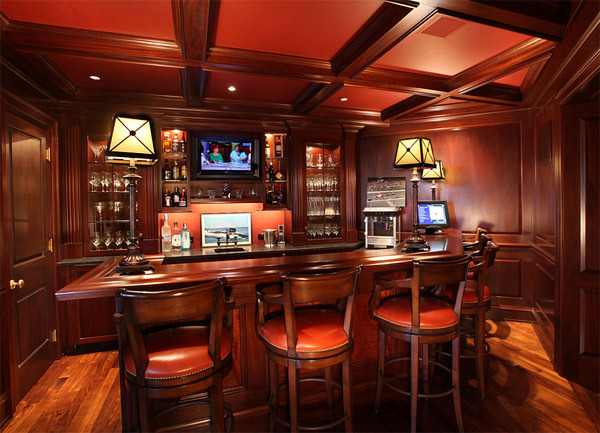 The composition of this bar mostly comes from woods; from the cabinet to the walls and columns. This is an elegant design, the granite countertop is very sleek in design and the glass shelves adds a character to the bar. 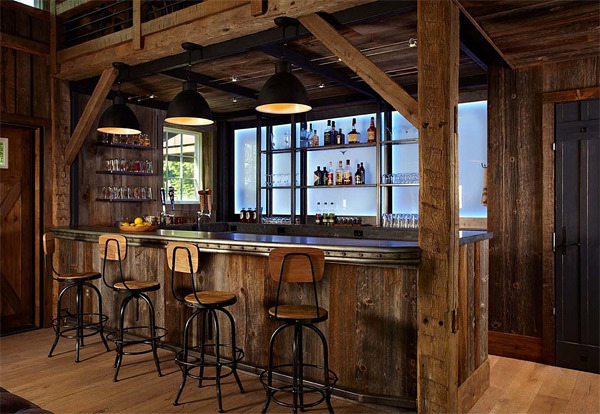 The material used for this bar is a solid wood finishing, the chairs and the hanging lights completes the look. 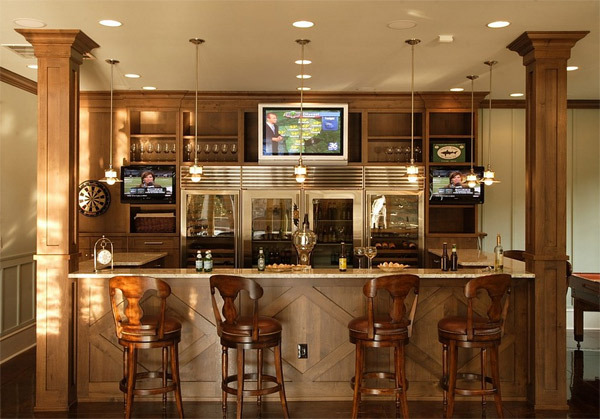 You can also place your home bar together where the home theatre for additional entertainment. 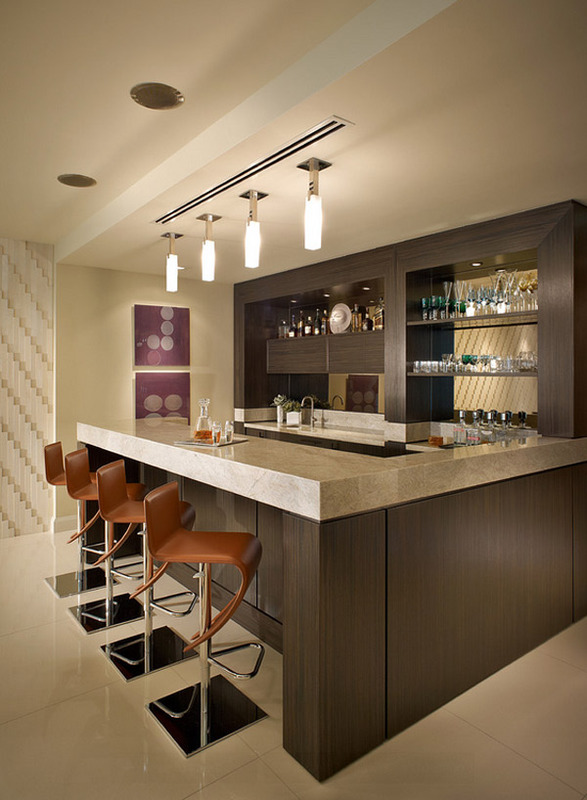 For limited spaces, maximize the corner of your spaces for a minimalist home bar. 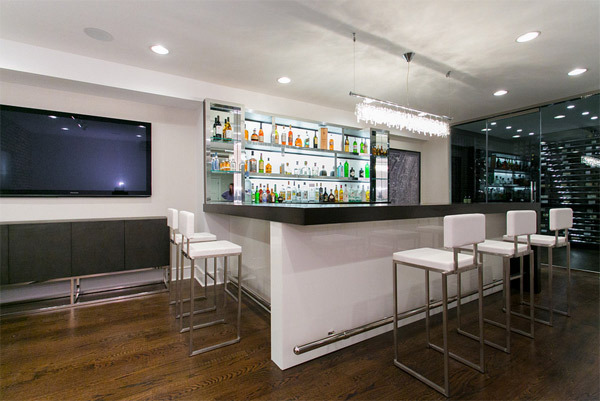 Transform your basement into a great space for entertaining which includes a wet bar. 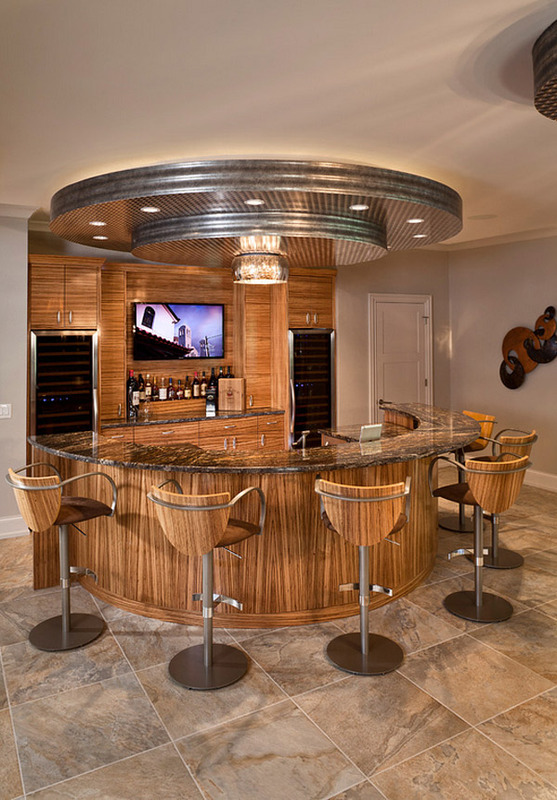 A unique design of a home bar with metal ceiling and a curved shaped counter topped with granite. It also has dual wine cooler. The red shade is applied all over the area from the tray ceiling, the bar stools, the walls, to the countertop, it displays a hot style. Well-blended design of the walls and the floors plus the chairs gives a barn like feel. 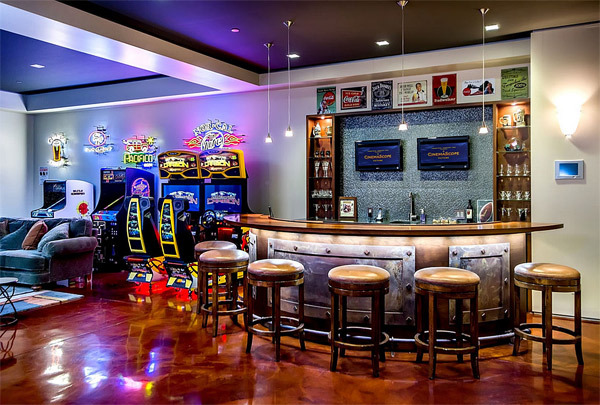 Surely your little kids will not disturb you during drinking sessions with your friends if you’ll set up an arcade. The red mosaic tiles are a very unique design, a very chic style of the counter table. Isn’t it exciting and very entertaining? But I’m sure that some mommies out there would not agree to have home bars, for they know that men are different when drunk. Am I right? Well if that’s the case, for all fairness, then create a home theater for endless movies not just for men but also for the ladies and kids. Well at least everybody has their own space to enjoy.